According to an annual report by Vitals, patients wait an average of 19 minutes and 19 seconds before they see a doctor. Certainly, this amount of time isn’t substantial, but healthcare professionals and patients alike can benefit if these times continue to decrease. And how to handle “wait times” is constantly evolving; with innovations in technology, you now have the ability to provide patient care even before sitting down face-to-face with them. We think the waiting room experience for your patients doesn’t have to be boring and unproductive. And if you can’t always avoid having patients wait, you can improve their experience and satisfaction. So how do you engage your patients while they wait? Today, practices are implementing the use of tablets during their check-in process which provides a powerful method for collecting and providing critical information for their patients. 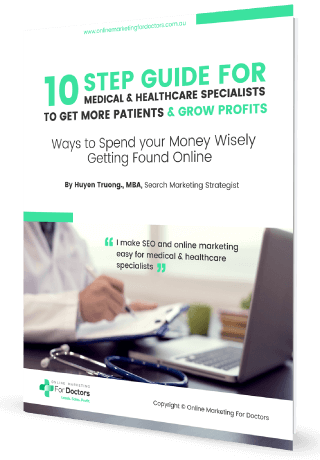 Steve – Hi there, welcome to another episode of Online Marketing for Doctors Podcast, I am Steven Tait and this is Huyen Truong and today we are going to talk about 5 Tips for Turning Wait Times into Patient Satisfaction. According to an annual report by Vitals, patients wait an average of 19 minutes and 19 seconds before they see a doctor. Certainly, this amount of time isn’t substantial, but health care professionals and patients alike can benefit if these times continue to decrease. And how to handle “wait times” is constantly evolving; with innovations in technology, you now have the ability to provide patient care even before sitting down face-to-face with them. Huyen – Well, this is an interesting topic because wait times occur in many practices, and after us all! Whenever I see my dentist I have to wait at least 10 mins without anything to do and I rushed previous engagements just to be on time for this appointment. Very annoying. So… my first question here is why do we let patients wait to start with? Why can’t we just be super on time? On my recent trip to Japan, I learn many aspects of their culture including that they are very punctual; trains, buses and even taxis, always arrive on time. People get ready 10 minutes before they actually start something, because they expect punctuality from everyone. What I mean is why don’t we use punctuality or “no waiting time” as one of the core differentiators in practice’s service quality to start with? Steve – Well, that is always the best case scenario, but what if we happen to run behind schedule for unexpected reasons. There are ways of dealing with that doesn’t have to result in more waiting times. Get permission to text updates to patients.Text the patient if the doctor is running late or when their appointment is next. Keep patients in the loop at check-in.Is the provider running late, and if so, how late? Be honest, and don’t sugarcoat it. Respect the patient’s time.If the provider is running late, ask if the patient is able to wait. Don’t assume the patient has all day is sit in your office. Put patient complaints on the record.If a patient complains to the staff, ask the patient to put the complaint in writing (have a form ready). Sometimes providers don’t believe patients are complaining because they never hear it. This can help them see a problem if there is one. Check on waiting patients often.Let patients know you haven’t forgotten them. Give an update on the wait and offer water or a small snack. Huyen – I think the waiting room experience for your patients doesn’t have to be boring and unproductive. And if you can’t always avoid having patients wait, you can improve their experience and satisfaction. So how do you engage your patients while they wait? With advanced technology nowadays, including the ability for you to connect with your patients through mobile devices, there is little excuse for failing to keep your patients engaged with your practice and their health, both in between their regular appointments as well as during their scheduled visit (including during their “wait time”.) All you need to ensure is that you are utilizing the tools available to do so. Today, practices are implementing the use of tablets during their check-in process which provides a powerful method for collecting and providing critical information for their patients. Steve…What are some of the features and benefits that are available to patients and providers with the use of a “waiting room” tablet? Steve – Well, there are definitely benefits from patients using a “waiting room” tablet, let’s talk about our first tip which is to offer Wifi on the tablet. Many patients have to take time out of their busy workday to make their scheduled doctor’s appointments. Instead of a rack filled with out of date magazines, why not give patients the opportunity to be productive by completing emails and other work related to-dos on your office’s wifi network? Huyen – While they are on your tablet, our second tip is to ask them to take a survey: On-site surveys increase patient satisfaction. If your patient feels valued because you realize the importance of receiving feedback regarding their experience, he/she will likely trust you more and become a more loyal patient, more engaged in their health, and more inspired to share their positive experience with others. With the ability to leave reviews right from their waiting chair, even if it’s simply about their “waiting room” experience or their interactions with your office staff, while it’s fresh on their mind, you can dramatically increase your visibility as you drive traffic to your website through Google Maps listing. In addition, you will improve your online reputation which will generate new patients who are online actively searching for new healthcare providers. Huyen – We have previously advised practices on getting reviews on Google and third party sites, with so many practices reporting back to us on the power positive reviews had in driving new patients to their practice. We actually have a podcast about this topic “The importance of patient reviews and 5 steps to getting positive reviews for your practice”, we’ll leave the link to that episode in the show notes below so you can check it out or you can just go to onlinemarketingfordoctors.com/2 to go directly to that podcast. This poses a question “How up-to-date is your website? As we know that a lot of practice websites are so out of date, and a lot of them are not even viewable on mobile devices. Many of your prospective patients and referral contacts’ first impression of your practice will be based on what they see on your website. If you’re trying to decide if you should invest in a website redesign but you’re still on the fence, don’t worry, we have you covered. We’ve explored this topic in our blog post “When Should You Redesign Your Healthcare Website?” with our list of nine reasons you need to pull the trigger on a website redesign . We’ll leave the link to that article in our show notes below. Research shows that 1 in 5 patients use their mobile devices to research information related to their reason for their visit, while waiting to see their provider. 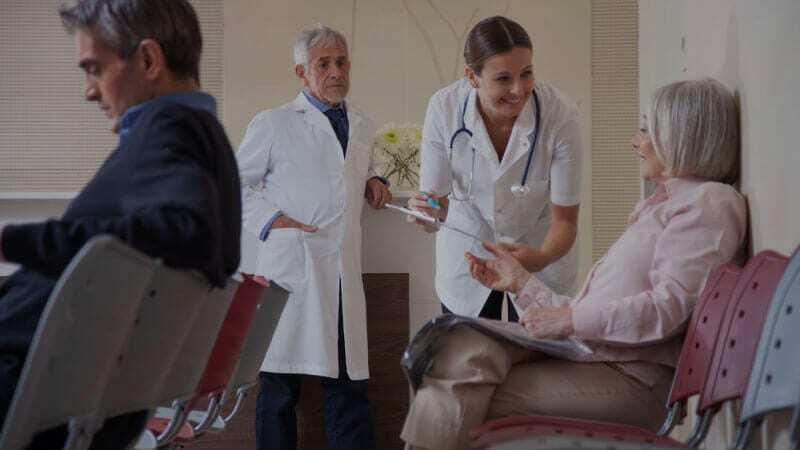 And of those patients, 82% felt better prepared and had a better understanding of their condition before meeting with their provider which in turn could lead to a heightened awareness and better attention to their health after they leave your office. Huyen – so yes, please make sure that your website is updated with all condition and treatment information; you can add rich media such as videos, podcasts, images, graphics to enhance the user experience and help patients digest medical content more easily. Whether this is a series of videos, written content or interactive quizzes, patients will appreciate you taking an extra interest in their health. Patient Education improves health outcomes. By utilizing newsletters and targeted care campaigns to educate your patient, you empower them with knowledge on how to engage in a healthier lifestyle and inspire them to keep their long term health top of mind. Steve – Our 5th tip is to ask your patients to check out your social media sites and engage in any promotional campaigns that you are running on these channels. When you use a waiting room tablet to encourage patients to ‘like’ your Facebook page or share any offers or promotional campaigns on their Facebook or Instagram, this will help spread your practice’s name to their circles of friends and family members. How does that sound? With these 5 tips, I am pretty sure that patients will be more engaged with your practice and find the wait time fly by so fast. 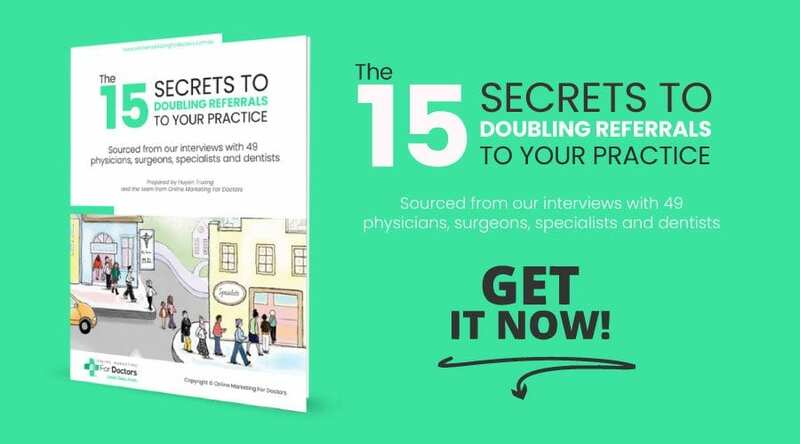 Huyen – All of these tips improve your patient’s overall experience, which typically translates into referrals and a growing practice. Happy and satisfied patients share the value they feel as your patient with others because you took the time to connect in ways that are meaningful, effective, and much more personal. Some practices have a difficult time embracing technology and all it has to offer as it can seem intimidating and less personal, however, those that recognize that if you aren’t keeping up with the way your patients are connecting every day, they will likely find another provider that will. These are the practices that will experience long term success and loyal lifetime patients. And the Result? A healthy, thriving practice. Steve – I think after this episode, unproductive waiting times are a thing of the past. We hope that you enjoyed this episode, and we are curious about what you have done to reduce wait time and engage patients in your waiting rooms. Our healthcare professional community would love to hear your comments below this podcast. Like always, if you want to listen to some particular topics in medical marketing, please fill out this 1 minute survey so we can produce relevant content and bring to you in the upcoming episode. We leave the survey link in our show note. If you want to be one of show guests, hey, that is even better. We leave the link to our podcast guest registration page, please fill out your info there and we will be in touch with you shortly. We can’t wait to have you on our show and we look forward to seeing you next time and bye for now!